A coalition of First Nations in the Fort McMurray say they're in support of the federal government's overhaul of energy project reviews, despite loud opposition in Alberta to Bill C-69. A coalition of First Nations in the Fort McMurray region say they're in support of the federal government's overhaul of energy project reviews, despite loud opposition in Alberta to Bill C-69. "Look at the mess we are in now," Allan Adam, chief of the Athabasca Chipewyan First Nation, said Tuesday. "I am in favour of Bill C-69. And I am going to continue to lobby that the federal government impose it." The Athabasca Chipewyan First Nation and three other groups — Chipewyan Prairie Dene First Nation, Fort McKay First Nation and Mikisew Cree First Nation — are members of a coalition called the Athabasca Region First Nations. The coalition says it's disappointed that the Alberta government is voicing opposition to the legislation. In a recent news statement, the coalition also says Bill C-69 "includes important measures that enable Indigenous people to more fully participate in resource management decisions." Bill C-69, currently before the Senate, reboots federal environmental review legislation. It streamlines a patchwork of regulatory bodies, offers broader impact assessments that consider health and socio-economic factors and prioritizes early engagement with Indigenous people. But opponents have described the proposed legislation as "the nail in the coffin of resource sector investment." Alberta's NDP government has also taken a hard line on the bill, in the wake of a federal court ruling halting construction of the Trans Mountain pipeline expansion and with a provincial election coming in the spring of 2019. Alberta Environment Minister Shannon Phillips lobbied senators in October to amend the bill to clarify the length of time reviews should take and exempt in-situ oilsands projects from federal assessments. In-situ oilsands projects use high-pressure steam or chemical solvents to release bitumen from underground and pipe it to the surface without resorting to mining. The coalition of Athabasca region First Nations slammed the Alberta government for opting for a watered down approach to oilsands environmental assessments. The coalition argues that in-situ projects should be held to the same standard as open-pit mines. 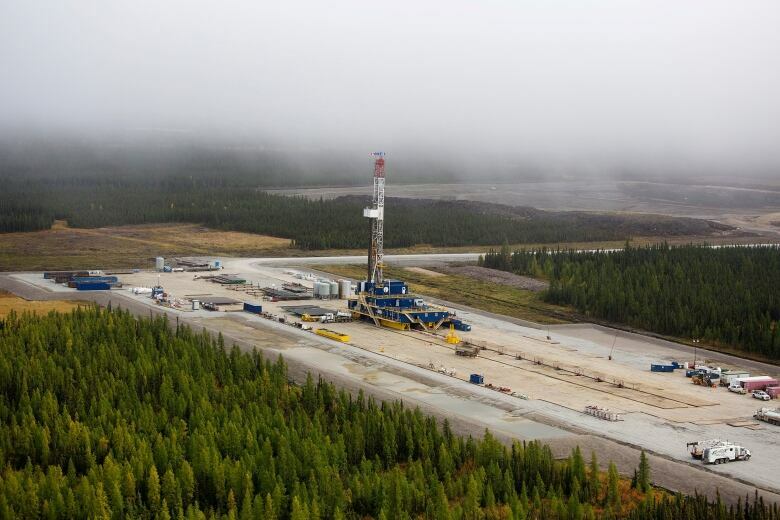 The coalition has said it expects 80 per cent of future oilsands growth will come from in-situ sites. And although these projects have the perception of being environmentally better, the Mikisew Cree's industry relations manager, Dan Stuckless, said they still need to be treated in the same way as other energy projects. "There are still concerns about wildlife in the face of being adjacent to an in-situ development," Stuckless said. "Even though the forests might still be intact, some species respond differently to noise and the presence of humans." 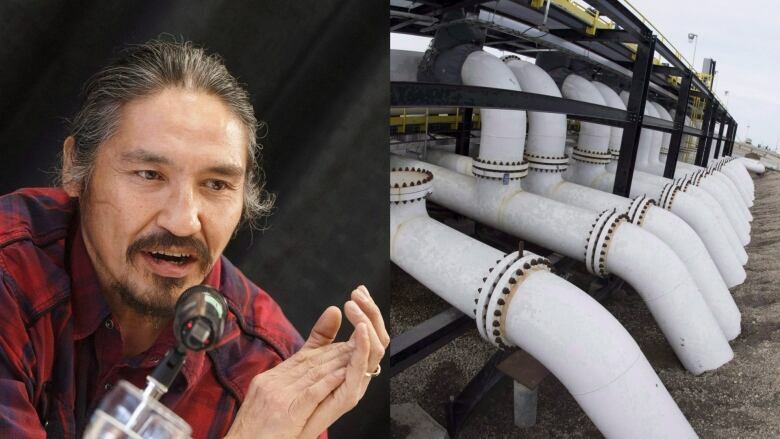 Stuckless said as more First Nations, including the Mikisew Cree, take ownership stakes in oilsands and pipeline projects, bands are pushing to see energy resources sustainably managed. "Coming out for or against Bill C-69 seems to suggest that you are for or against industry," Stuckless said. "And I don't think that that is the message from this region. "I think what you are seeing from this region is that there's a level of support for responsible development." The coalition members intend to appear before the Senate committee that's reviewing the bill to make their concerns heard.